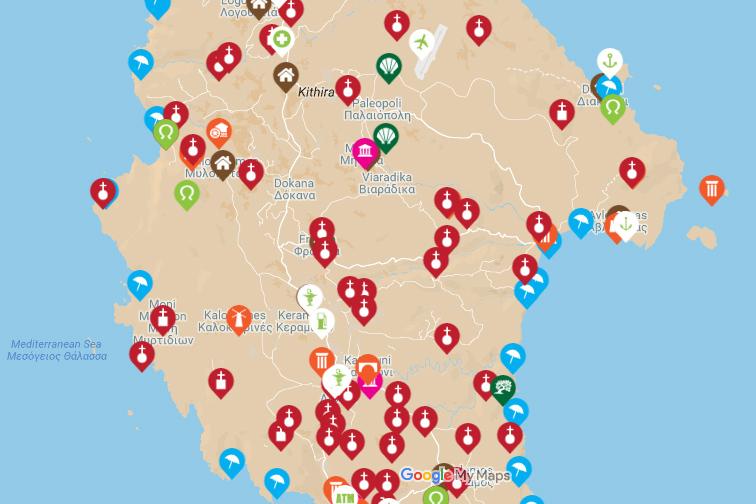 Dear Friends, the first interactive map of Kythera has landed. You can find out where the main villages, monuments, museums, caves and churches of the island are. By clicking on each icon you will discover which ones they are. Interact with the map: by moving the mouse. Zoom out on the map of Kythera: by clicking on the – button or by double clicking on the right button of the mouse.